So many people have asked me why in the world I chose to study history. Usually I just take it in stride, tell them that everyone is different, and move on. It wasn’t until I spent a month doing intense research, getting very little sleep, trying to understand the changes that occurred in turn of the century Harrisburg that I really had to stop and think about why any of what I was doing actually mattered. As much work as it took to complete the projects for my digital history class, I have come to understand through them the importance historical records to public knowledge and how digitizing them creates infinite opportunities of study. The Digital Harrisburg Project is just a sample of what historians across the country are working towards: a new digital era of historical study that enables the general public to access, analyze, and interpret the past at the press of a button. History has been permeating blogs, social media, databases, and websites all across the country as people become increasingly interested in their own personal history. Every story, both big and small, deserves to be told. That’s why I study history. I want to help tell those stories and hopefully to inspire others to do the same. Because of the way my class was designed, I was required to work on several little projects on the City Beautiful Movement involving different programs that led up to a final incorporating most of the digital media we learned how to use. However, we also had to spend two comprehensive research days at the Pennsylvania State Archives and the Dauphin County Historical Society searching through manuscript groups to find primary sources for our topics. I decided to research the green spaces and parks in Harrisburg because I’d always had an interest in the National Parks and figured it would be a smaller topic that wouldn’t have had the most obvious impact on the movement. As I started reading and collecting data, however, I couldn’t have been proved more wrong. goal could have been accomplished without the other. With the whole city including bankers, physicians, and publishers coming out to do genuine public service, it’s no surprise that this it was able to pull together to transform itself. According to the Harrisburg Telegraph in 1911: “The improvements have largely paid for themselves through increased valuations of outlying properties and the erection of hundreds upon hundreds of additional housed and the rebuilding of many old structures in the business districts to meet growing demands. And all the without the suspicion of graft in the expenditure the vast sums involved, without one item of shoddy work” (Beers 48). It essentially became a bandwagon campaign, with each new person pitching in to improve the health of the city or to gain notoriety for doing so. The combined push and pull of reformers and capitalist politicians inspired the entire town to change itself inside and out. new spaces. One women wrote to her daughter in 1906 “Just as natural as can be.” (“Third and Walnut Street Entrance to Capitol Park, Harrisburg PA.”). Many travelers who were just passing through on the railroads took notice of the pristine atmosphere and wrote home to their families about it. One woman wrote, “I will be coming Saturday afternoon…am certainly having a grand time went for a picnic…at Capitol Park. Had a fine time.” (“Feeding the Pigeons in Capitol Park, Harrisburg, PA”). Thanks to the influence of Mira Lloyd Dock, new societies began to take root in learning to preserve nature and the proper way to garden. The School of Horticulture for Women instructed any young woman willing to learn skills involved in gardening and landscaping (Parris 1). They were encouraged to seek out jobs in landscaping as well as opportunities for civil engagement (Parris 1). Once promoted to president of the American Civic Association in Washington D.C., J. Horace McFarland helped fight for the national parks, Niagra Falls, wrote several books, and constantly campaigned against billboards and overhead wiring that took away from the look of a city (Beers 90). 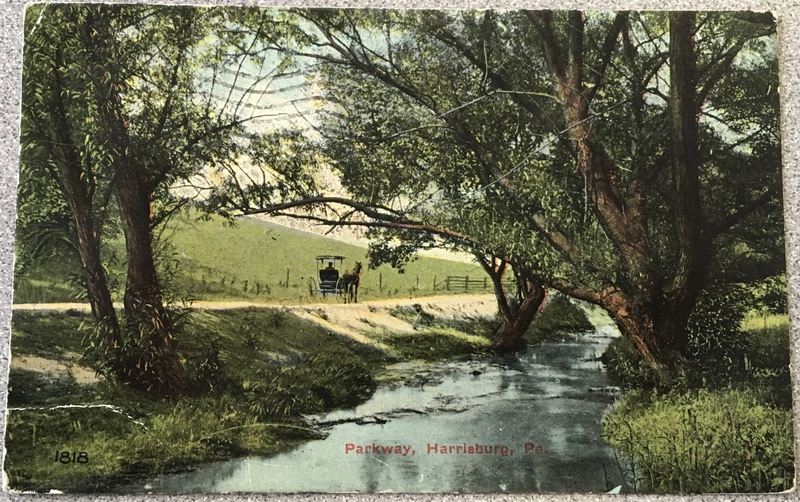 Harrisburg gained national status for it’s conservation efforts that left a lasting impression on the city for generation. It was was able to pull itself out of industrial blight and into a new age of urban commerce. Much of the research I did for this project was centered around personal letters from and to J. Horace McFarland and Mira Lloyd Dock with a few official government documents to get numerical data. However, what I found surprising is just how many informal personal letters were kept in the archives. Because they didn’t necessarily include objective data, I ignored them at first. Having a little time left over at the end of my first visit, I started to read a few and picked up so much information that I hadn’t been able to find in the government reports. These letters showed the real character of the people writing them. The personal letters between Dock and McFarland showed not only a deep passion for natural conservation throughout their daily lives, but an embedded sense of responsibility to Harrisburg to make it the best city possible. These letters led me to the postcards that contained short messages raving about the beauty of the parks and the excitement over the metamorphosis of the town. So much of what I came to understand City Beautiful stood for was contained in these letters: a spirit of community in agreement that it was for everyone’s mutual wellbeing to reshape Harrisburg. Without going into the archives and digitizing these sources, information like this would go by the wayside and much of what comprised City Beautiful would have been lost. As this generation moves into an age of fast-paced accessible information, many fields of study are having to adapt their methods to new technology being produced everyday. History, because of misconceptions, has lagged behind this movement. For some reason, the public perception is that historical data lies solely in dusty old manuscripts tucked away inside a museum, inaccessible to most and alienated from technological study. However, by digitizing sources and organizing them into online databases, history can be made available to the entire world in seconds. New tools allow anyone to sort, analyze, and probe hundreds of documents for information quickly (work that would take a human days to do). We have the ability to create online museums of information to preserve the stories of people around the world who until now have been sitting inside a manilla folder in an archive room. The Digital Harrisburg project has helped me realize just how valuable these technologies can be in understanding the human experience. 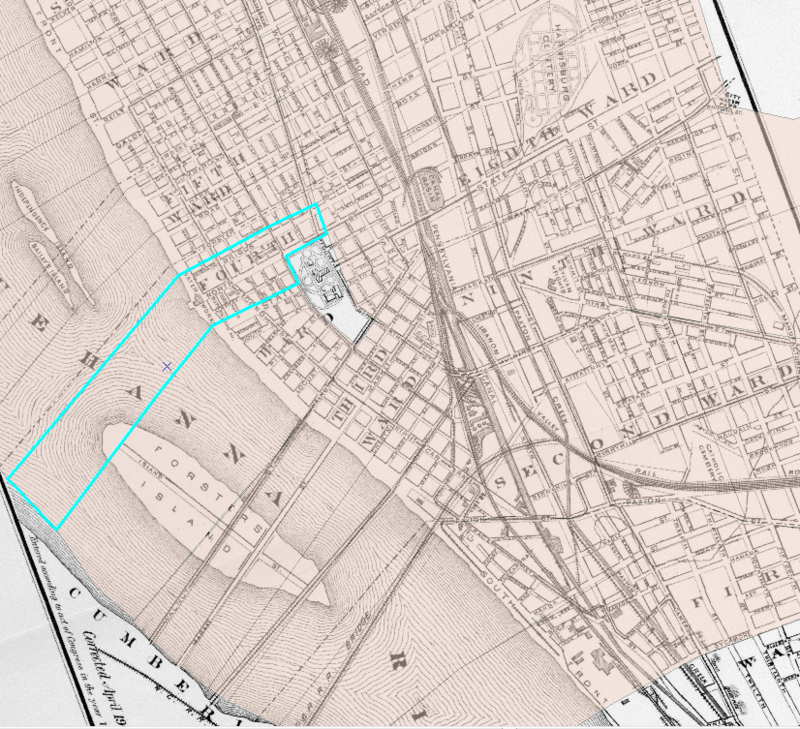 Because of the technology I had at my disposal, I was able to collect and interpret 300+ primary documents, compare and overlay maps on ArcGIS to find change, querying the 1900 and 1930 Harrisburg census records with Microsoft Access, and catalog all of my artifact information in Zotero and Omeka. Using Storymaps for my final, I pull all these tools together to take a comprehensive look at all the aspects of City Beautiful: demographic, geospatial, and archival. This project helped me to empathize with an entire city I had never visited until January of this year. The collective experience of its citizens, even in just renovating the public spaces, was for the most part astoundingly selfless. Not to mention the after affects of the City Beautiful which inspired conservation movements nationwide. Without the digital technology I had available, I would have taken so much more time to do half the work. The benefits of digital history are boundless, and combined with the critical thinking skills that develop with historical study, can break into new inquiries never before considered. Finally, the accessibility of digitized historical data allows anyone with a computer to do this same kind of work. With the information sharing capabilities of blogs and social media, new forums of thought on history can begin with the press of a key. Many still say that history is confined to old books, but because of technology people have become active historians every time they take a picture or post a comment on one of the President’s tweets. Today, we actively catalog stories everywhere we go. So why is doing so with historical documents so different? I study history because I want to keep telling these stories and look forward to the next opportunity to share them one click at a time. Beers, Paul B., Michael Barton. 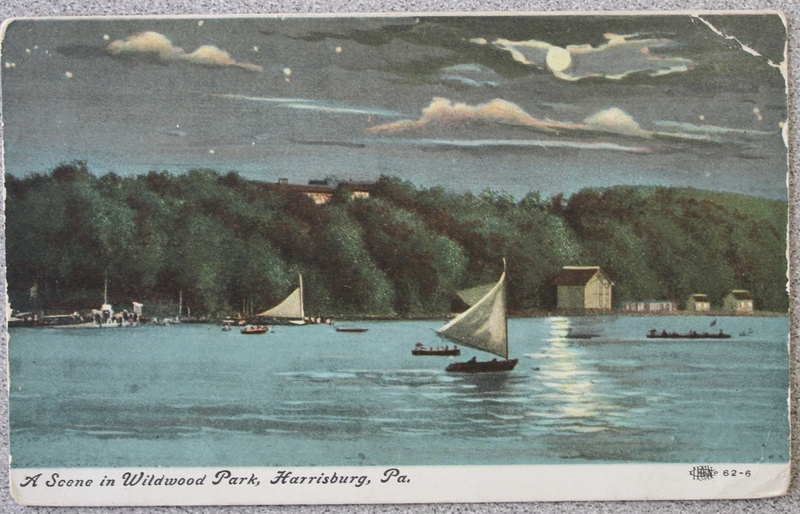 City Contented, City Discontented: a History of Modern Harrisburg. Pennsylvania: Midtown Scholar Press. 2011. Chappell, Samuel. The Fox in the Park: State Senator John E. Fox and the Capitol Park Extension. Penn State Harrisburg. Harrisburg’s Old 8th Ward, 2004. http://www.old8thward.com/pdf/Chappell2004.pdf. “Feeding the Pigeons in Capitol Park, Harrisburg, PA” Harrisburg, PA. 1923. Pennsylvania State Archives. January 26, 2018. Harrisburg Executive Committee Minutes. Historical Society of Dauphin County. Pennsylvania. 1901. January 18, 2018. “Third and Walnut Street Entrance to Capitol Park, Harrisburg PA.” Harrisburg, PA. September 24, 1906. Pennsylvania State Archives. January 26, 2018. 1930 Harrisburg Census. Harrisburg, PA. Digital Harrisburg Project. January 30, 2018.